Are you looking for some apple or raspberry dessert ? We recommend this apple and raspberry pie recipe. Preheat the oven to 180 degrees Celsius or 356 degrees Fahrenheit. Put in a bowl apples, raspberries, granulated sugar, vanilla seeds from the pod, lemon juice and a tablespoon of flour and mix easily with a spoon. Put brown sugar, baking powder, bread crumbs and flour that remained in another bowl and mix them well. Add butter and mix with your fingertips until you have a crumbly dough like bread crumbs. If lumps are forming or some butter remained in bigger pieces it doesn't matter. Line a pie tray or a deep dish ( suitable for the oven ) with flour , add fruits and place them over the crispy pie crust. Leave it in the oven for 20-25 minutes, until they have a golden color. 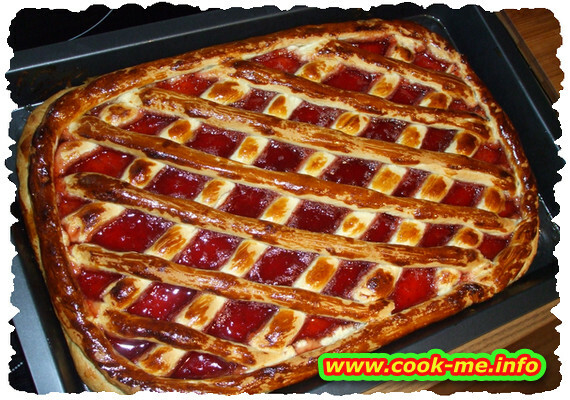 The pie will be delicious because the fruits bake with the dough , the interior will be soft and the exterior crispy.